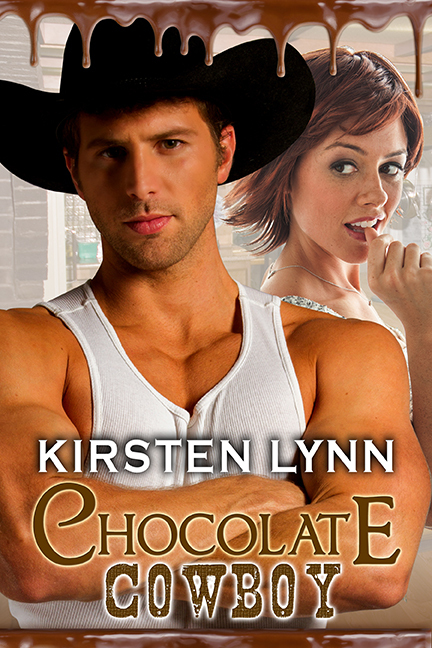 This entry was posted in Books and More, CHOCOLATE COWBOY and tagged chocolatier, cowboy, Kirsten Lynn, Marines by Kirsten. Bookmark the permalink. What made you make the jump from simply working to writing and publishing? Congrats on your upcoming release, Kirsten. Unlike many writers, Siobhan, I really never considered writing fiction. My goal was to work with the Navy and Marine Corps and write history, which I do. A few years ago a friend decided she was going to write a romance, and I started doing some research to help her out. Next thing I knew the voices and stories I’d tried to suppress exploded and I wrote my first story about a Marine, of course. I was living near DC at the time and I was extremely homesick for Wyoming and the West, so all my stories took place out West. Really, writing saved me and became the best therapy. As for publishing, I just really love sharing these people and stories and places with others and hope they find as much happiness as I have. Thanks for stopping by and the great question! Out of all your wonderful books, which is your favorite (in each genre) and why? Best wishes for super sales on your latest release! I know authors are supposed to be PC about their books and characters and give the “I love them all the same.” But I’m not PC. Each story holds a special place in my heart, but THE AIR I BREATHE was an absolute labor of love. Jack and Libby still haunt me and I’m relieved that they’re part of a series so I get to visit them for years to come. I also never knew I’d adore writing a story that takes place in the 1960s and 70s so much. It’s a blast. One that surprised me is CHOCOLATE COWBOY. It was never really supposed to be much of a story, but as I mentioned in the post Lucy and Jared just won me completely over and I can never say how much their story means to me. I’ve loved every minute spent with them. Thanks so much for stopping by, the question, and the good wishes! I appreciate your support! Have you always lived in Wyoming and how many books do you have published? CHOCOLATE COWBOY will be my tenth book published! Oh my a cowboy that is a chocolatier! Favorite chocolate: milk or dark? It he hero sounds very intense. What drew you to the whole cowboy and chocolatier combo? Really looking forward to reading more about this story. Hi Renee!! Thanks for stopping by! There’s a cowboy here in Wyoming who actually started a chocolate shop and he was featured on the local news. Instantly, I knew there was a story there. Within a week my chocolate cowboy was talking and I was writing the story. My story doesn’t follow the actual cowboy’s story at all, but it was just such a fun combination I had to run with it. Jared, the hero, can be very intense, but he is also a lot of fun something that I think is missing in some military romance. Working with Marines, I know they are very serious about being Marines, but they are equally as serious about having a good time. I hope you’ll enjoy this story! I absolutely love it! How did you find the real Chocolate Cowboy chocolatier in Wyoming? I’ll have to ask my cousin about it. There was a story on the local news about how from selling chocolates out of his truck he’s now known around the world. I contacted him and asked for his help with the chocolate making parts of my story and he agreed, since I was local. Thanks so much for the good wishes! Cowboys and Chocolate! My kind of book! Can’t wait to read this one! Can’t wait to read this one! I love chocolate and cowboys! All at once too. Thanks so much, Shirl!! I hope you enjoy it. Jared and Lucy were so fun to spend time with! Did you ever base any of your hero’s on marines? I’m assuming you mean Marines I personally know. The answer is, yes. There’s a bit of all of them in each of my Marine heroes in my stories. There’s a lot of a particular Marine in Jared in Chocolate Cowboy. Congratulations on a yummy release! This looks like a wonderful read. Thanks so much, Connie! I can’t wait for next week and the release of this story. I hope readers will love it as much as I do. Tried to pre order. Web site not available. Where to next? Here’s the link to iBooks, Debby. Sorry about that, I’ll check out the link on the post. Hope you enjoy the story!! Would love to read this book, I love Cowboys and chocolate. I had such a wonderful time writing Jared and Lucy’s story! I hope you’ll enjoy reading it! I’ve only been to Fort Laramie and then had to cut my wandering short and get back to my son’s house in Colorado Springs. I’m planning another visit. What three places are on the must see list? Looking forward to reading this. Oh my goodness, the top three, huh? Of course, the Tetons and Jackson area. Unfortunately, it’s gotten pretty crowded over the years, but if you can see the Tetons then they’re a must. (make sure you stop in Dubois on your way there) Cody, for the Buffalo Bill Historical Center, or whatever they call it these days. But seriously, if you’re interested in the West that’s a place to learn about it. And if you go in the summer Cody has a great rodeo every night. And of course the jewel, Sheridan (but keep it under your hat). Honestly, I’ve thought of about ten more places just writing this. If you read my stories, they’ll give you some great ideas. Thanks so much for stopping by! Glad you saw the post this time! I love chocolate and cowboys but …what made you put them together? There actually is a chocolate making cowboy. And I saw a story on the local news about how from selling chocolates out of his truck he’s now known around the world. I contacted him and asked for his help with the chocolate making parts of my story and he agreed, since I was local. So, it was just from that little snippet of a news story that Jared and Lucy’s story was born. I love the stories and the settings you share. I also love chocolate. Would the chocolatier or you have a favorite recipe for us? Congratulations on your books and success. You inspire us! Thanks so much for stopping by! I’m thrilled you love my stories and the settings. I really love making Wyoming a character in each book. I don’t know about the chocolatier, but I share a few of my favorites in the book. A simple recipe is for nests. You melt dark (or milk, or white, whatever you prefer) chocolate and stir in a whole bunch of coconut flakes. Then arrange on a waxed paper lined cookie sheet by just dropping spoonfuls on the sheet. You can add gumdrops, jellybeans, or M&Ms to the center before it sets, or just eat it plain. I usually use the dark chocolate. Thanks for the question and encouragement, Kristin!! You’re awesome! Meeteetse is a small town in Wyoming (that is gorgeous, but isn’t the whole state? I’m a bit biased) And the Meeteetse Chocolatier is a real live cowboy who started a chocolate shop a few years ago. What are your character’s favorite kinds of chocolate? I can’t wait to read this! Hi Tabatha, Thanks so much for stopping by! Lucy’s favorite is mentioned in the book. She loves chocolate covered marshmallows and chocolate covered strawberries. Jared, though it’s not really specifically mentioned, doesn’t really care for chocolate. You’ll notice there’s really only once when he indulges, and that’s he’s favorite kind of chocolate. Hope you enjoy the story!! I really loved writing Jared and Lucy’s story! You seem to be very involved in helping veterans. What is your favorite thing to do to help or assist? My favorite thing to do is bring some chocolate chip cookies to poker night at the VA hospital and just visit with these brave men and women. I always say I wish I could inspire them even half as much as they inspire me.